On July 14, 2017, Google’s sister company, Verily, began a staggered release of 20 million bacteria-infected male mosquitoes in central California, as a pet-project of their parent company Alphabet’s life science’s division. The goal is to minimize a specific species of mosquito—known as the Aedes aegypti—which carries certain dangerous diseases such as Zika virus, yellow fever, and dengue fever. While these diseases do not currently threaten California residents, climate shifts are causing scientists to take preventative measures now. Mosquitoes are more deadly to humans than all other animals combined because the diseases they carry sicken hundreds of millions annually. The mosquito known as Aedes aegypti first appeared in California’s Central Valley during 2013. Since that time, its population has rapidly adapted, particularly in Fresno County. “It’s a terrible nuisance, a terrible biting nuisance. It’s changed the way people can enjoy their backyard and it’s a threat for disease transmission,” warned Steve Mulligan of Fresno County’s Consolidated Mosquito Abatement District. To reduce the population of mosquitoes, Verily is using the sterile insect technique (SIT) to release millions of sterile males to mate with uninfected females, rendering them unable to produce offspring. In the lab, scientists infected male mosquitoes with bacteria, known as Wolbachia pipientis, rendering them sterile. According to the scientists’ plan, the uninfected females that these mosquitoes mate with will also become unable to reproduce. The process is based on a scientific occurrence known as cytoplasmic incompatibility, “matings between Wolbachia-infected males and uninfected females results in embryo lethality or low hatch rates,” William Sullivan and Scott L. O’Neill explained. Wolbachia is “naturally found in at least 40 percent of all insect species,” but typically not in A. aegypti. Theoretically, if enough sterile insects are introduced in an area, they will reduce or even eliminate the local population. However, SIT can be quite expensive, labor intensive, and time-consuming process. Therefore, Verily developed “automated mass rearing,” processes and robotic technology to sort male from female mosquitoes, and software algorithms to plan for effective, targeted releases of the mosquitoes. Beginning on July 14, 2017, only 1 million mosquitoes had been set free in Fresno, California—known as operation Debug Fresno. The rest were scheduled to be released at a rate of 1 million per week. Two particular benefits from releasing males is that only female mosquitoes bite, which is what allows them to spread disease. Therefore, by focusing on males, the project will not introduce any new disease-spreading mosquitoes. Also, local residents will not be threatened by additional mosquitoes biting them. A successful previous sample study occurred in 2016 with Wolbachia-infected mosquitoes in Fresno. This expansion will cover two neighborhoods, each about 300 acres. 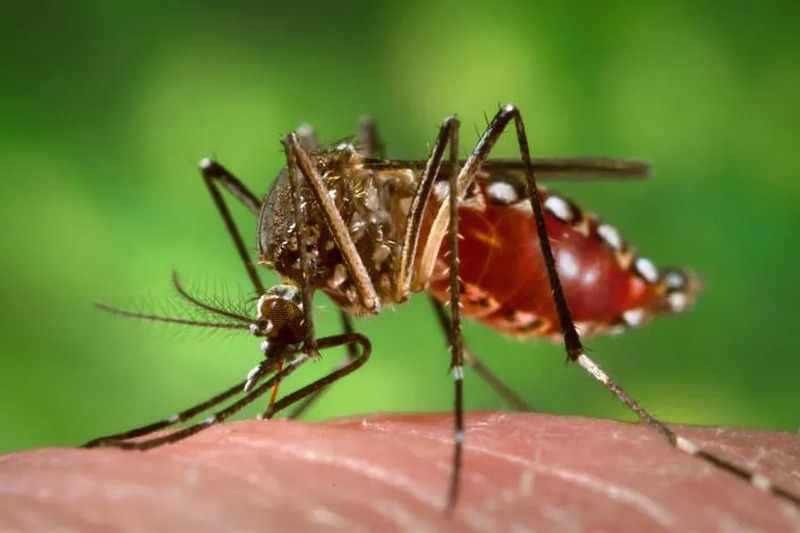 Effectiveness will be measured by comparing adult mosquito population density and the egg hatching of the Aedes aegypti species in the target areas versus two control areas.